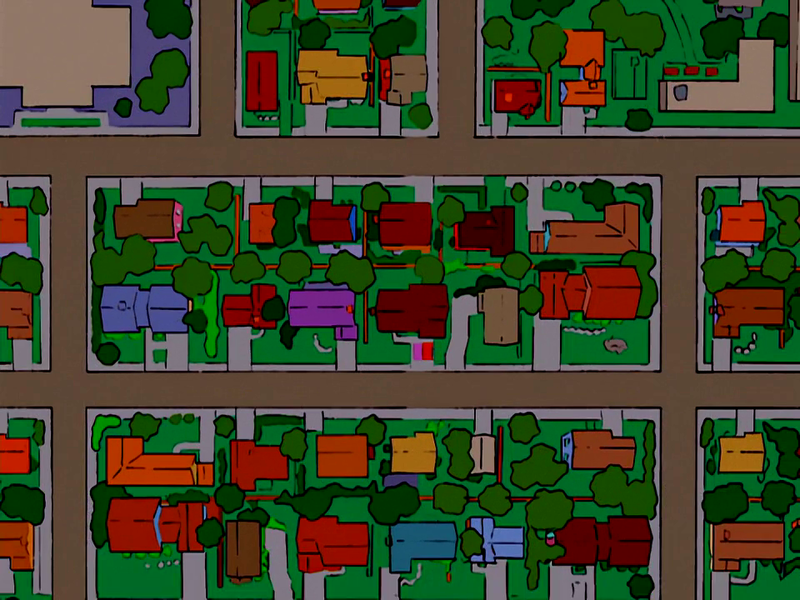 Evergreen Terrace is the street that the Simpsons live on. It is unclear why it is called "terrace", when the houses are in fact detached. The Simpsons usually are mentioned as residing at number 742. 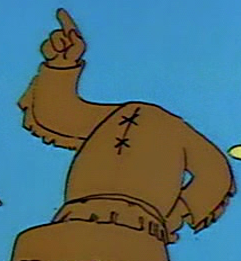 Therefore, the Flanders live next door at number 744. Evergreen Terrace also has its own exit off the highway. The residents seem to hate the Simpsons with a passion, moving away themselves when they heard the Simpsons were not being forced to move. 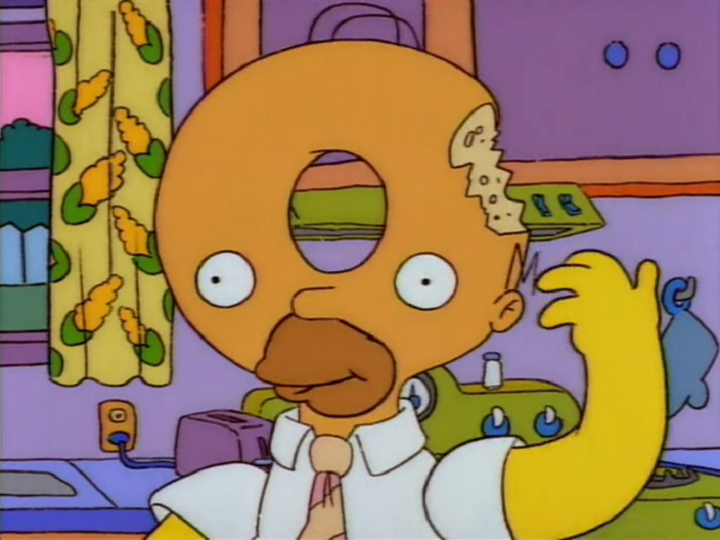 After Springfield was transformed into a creepy city full of witches, ghosts and zombies everywhere. All of the buildings and houses have been transformed into Halloween places, with pumpkins at the entrances and on the streets was the name chanced to "Evergreen Terror". ↑ Bart Gets a "Z"
Modified on September 14, 2018, at 19:00.